COVINGTON – A woman claims that the severely adverse reactions she had to her deep vein thrombosis treatment went unnoticed by hospital physicians, and eventually led to multiple, permanently damaging brain hemorrhages. Theresa Rowe and Kurt Rowe, her husband, filed suit against Lakeview Medical Center, doing business as Lakeview Regional Medical Center, Dr. John Simon, Dr. Barry Kusnick, Dr. Anastasia Fischer, Dr. Michael Becker, Dr. Sean Roberts and Dr. Malcom Napler in the 22nd Judicial District Court. Plaintiff Theresa Rowe claims that she was admitted to Lakeview Regional Medical center on Nov. 30, 2007, where she received a diagnosis of a deep vein blood clot by Dr. Simon. Allegedly, defendant Dr. Kusnick then recommended a tPA infusion in order to break up the clot and Rowe continued receiving this treatment for several days. The plaintiffs argue that during this treatment, Theresa Rowe repeatedly complained of worsening nausea, headaches, vomiting and other symptoms associated with tPA complications. The plaintiffs maintain that the defendants failed to recognize the severity of Theresa Rowe’s symptoms. Three days after Theresa’s admittance to Lakeview Regional, Dr. Fischer noticed the patient’s headaches and ordered an MRI to be performed the following morning, the suit says. However, the plaintiffs claim that the MRI inexplicably was not performed. Later, Dr. Kusnick allegedly canceled the MRI to continue the tPA treatment that he initially ordered. The plaintiffs assert that defendant Dr. Becker, on call for Dr. Fischer, did not order a new study or see that Dr. Fischer’s MRI order was carried out. The plaintiffs claim that after five days of receiving treatment at Lakeview Regional Medical Center, Rowe’s condition continued to worsen. According to the suit, Lakeview nurse Solnitzky failed to recognize the increased severity of Theresa’s headaches, disorientiation and nausea. The plaintiffs also argue that Solnitzky failed to report to a physician Theresa’s dramatic weight gain, and further accuse Solnitzky of failing to contact a physician before administering the drug Narcan to the patient. According to the suit, on Dec.4 , the defendants finally recognized that plaintiff Theresa Rowe may be experiencing brain hemorrhaging. After stopping the tPA, Theresa underwent a brain scan, which allegedly revealed multiple brain hemorrhages. The plaintiffs aver that because of tPA administration and the doctors’ failure to recognize its adverse effects, Theresa Rowe now suffers from significant brain injury and damage. 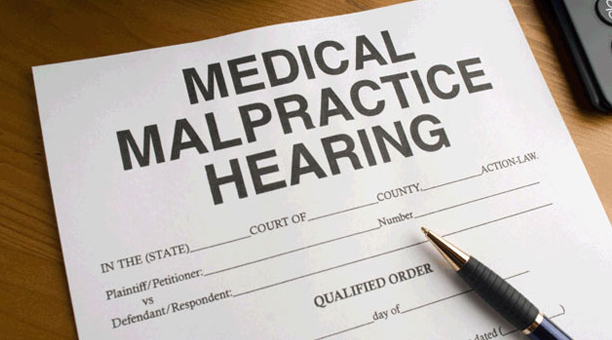 The defendants are accused of breaching the applicable medical standard of care; failure to exercise, recognize, monitor and respond to a patient’s symptoms; failure to follow manufacturer’s instructions and warnings regarding the administration of tPA and other acts of negligence. An unspecified amount in damages is sought for bodily and brain damage, physical and mental pain, permanent disability, loss of function, loss of income, loss of earning capacity, loss of enjoyment of life, loss of wages, cost of medical treatment, lost chance of a better medical outcome, legal interest and attorneys’ fees. Additionally, plaintiffs seek damages for Kurt Rowe’s loss of consortium, support, society, and services. The plaintiff is represented by John D. Sileo and Kevin P. Riche of New Orleans-based Law Office of John D. Sileo LLC. The case was originally filed in Orleans Parish on Dec. 17, 2013, before being removed to St. Tammany Parish. The case has been assigned to Division B Judge August J. Hand.